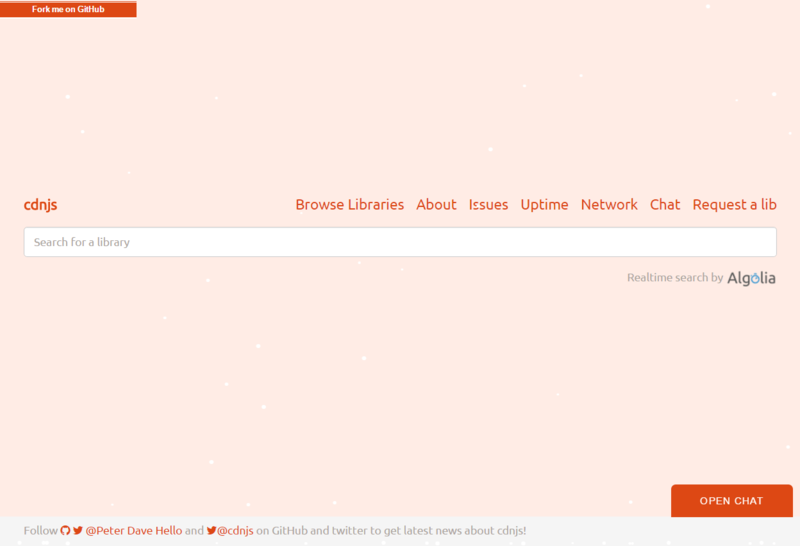 Thanks all the users, developers and the contributors! 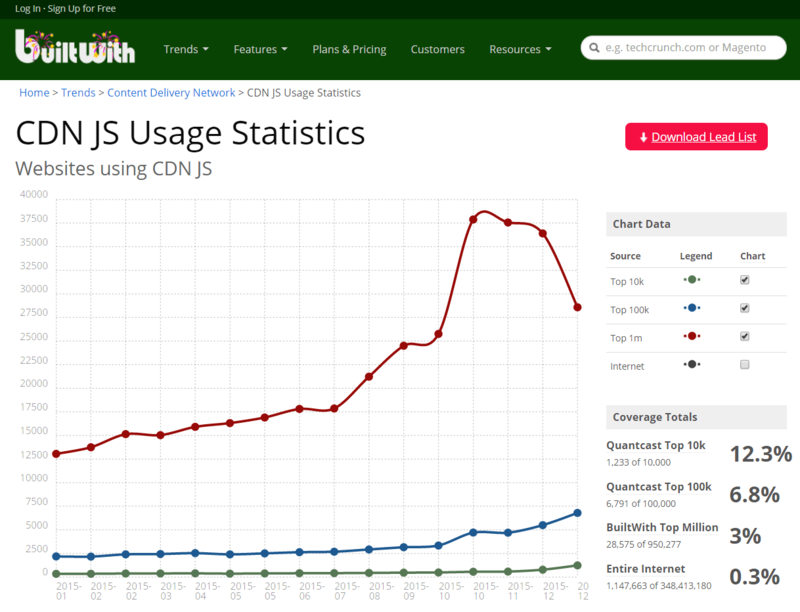 We did a lot of things in 2015, though there are still many issues that waiting to be solved, we’ll keep working on it, at the end of year 2015 and the beginning of year 2016, let’s have a fast review of the changes and rising in cdnjs during 2015! 8892 commits were committed in last year! 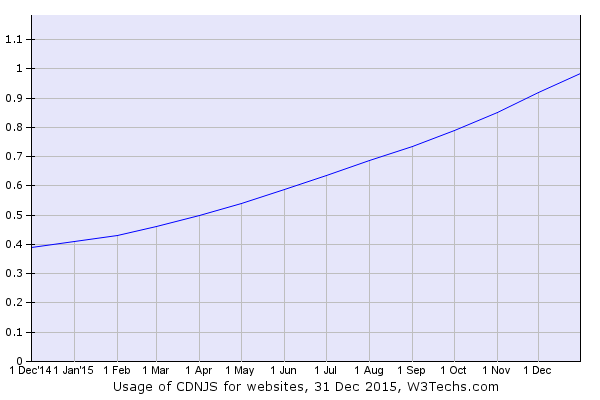 We had only 1220 libraries hosted on cdnjs, but 1669 libraries been hosted now! 449 new libraries added in 2015! Ionică Bizău wrote a cool tool cdnjs-importer to help add new libs into cdnjs!